How to use SAI ? 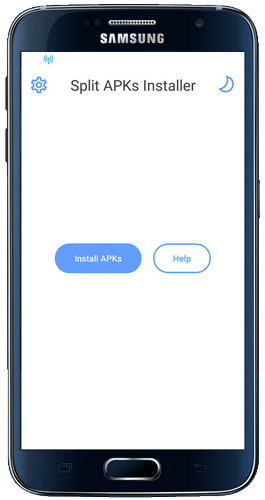 Click "Pick APKs" button and select base APK as well as additional configuration-specific APKs then click "Select" button to start installation process. - Possible corrected crash on root rights request. - Ability to sort files. 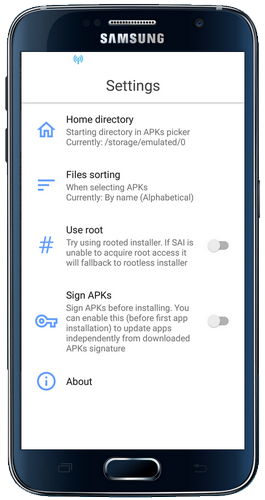 • There is no longer a proper "Open app" prompt after installing an app with rooted installer due to internal architecture changes.